If you’re a long-time Facebook user you’re surely aware by now that plenty of scams make the rounds on there. The latest scam involves a fake video with a title that begins with the words [Shocking Video]. In most cases there really is no video to see at all, just a photo of some unbelievable scene with a YouTube-style Play button Photoshopped onto it. 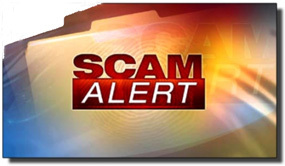 There’s a new scam making the rounds on Facebook just in time for the New Year. This one claims to be giving away a $250 Kroger Gift card just for filling out a survey or performing some other innocent sounding task.